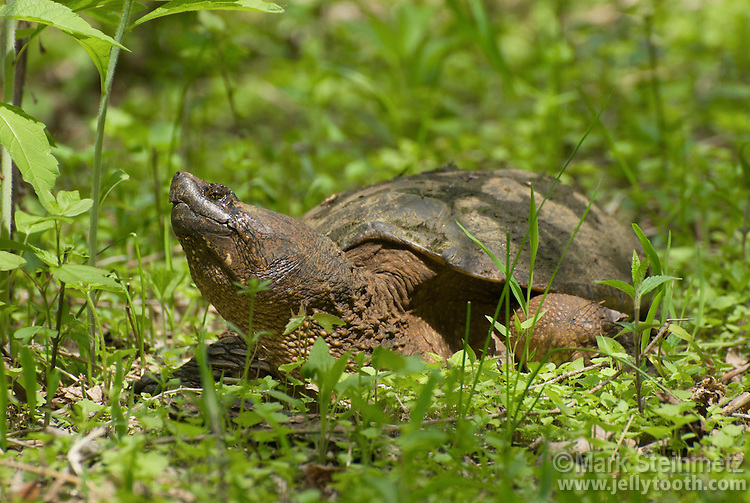 Common Snapping Turtle (Chelydra serpentina), a large common freshwater turtle native to North America. Average sized individuals weigh 15-20 pounds. Magee Marsh Wilflife Refuge, Ohio, USA.